Born: September 1, 1831 in Pocasset Ma. 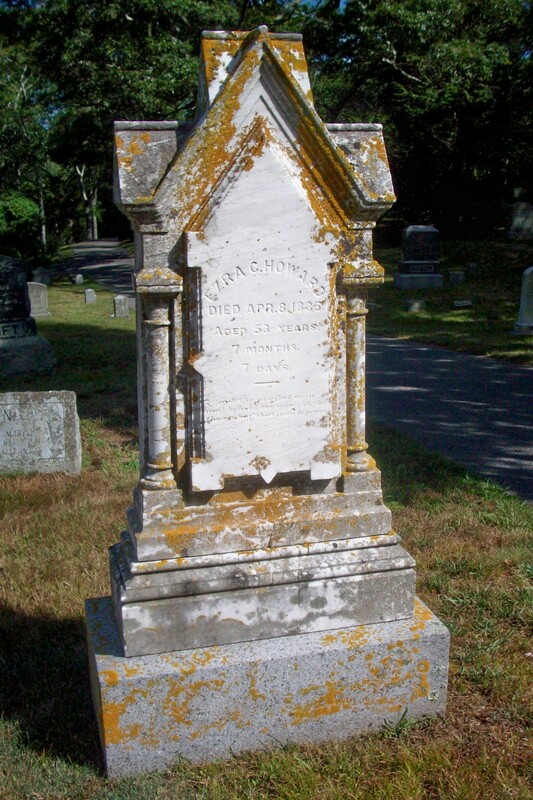 Died: April 8, 1885 in Watertown Ma. at 53 yrs, 7 mos, 7 d.
Occupation: Iron Moulder, Manufacturer; Owned foundry in Bournedale Ma. Notes: Ezra was a Massachusetts State Representative & Senator. 2. 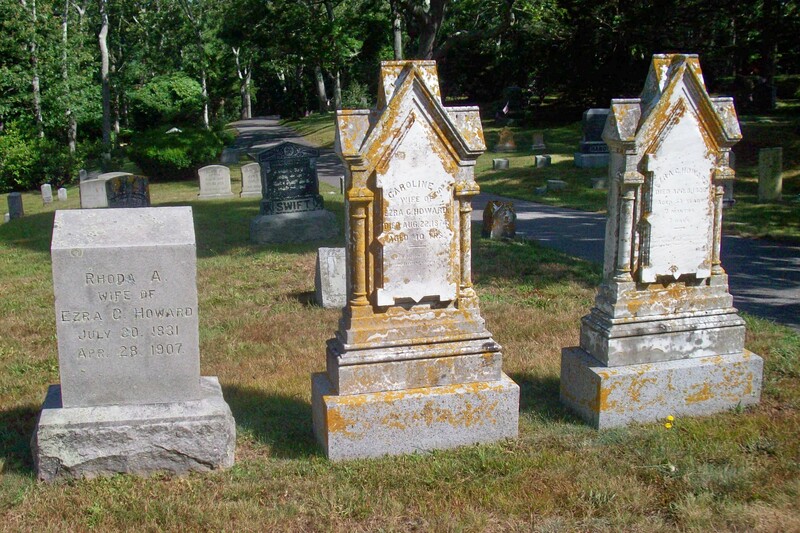 Mary Hannah Howard Kaven (March 3, 1869 – September 18, 1950); Married Gustavus Adolphus Kaven (1865 – 1959) (George Kaven & Wilhemine Moeller) in Watertown Ma. on April 4, 1900; Mary & Gustavus are buried in Cataumet Cemetery. To: Rhoda Ann Dimmick Burgess; (1830 – 1907) (Frederick Dimmock, Capt. & Maryann N. Lawrence); Rhoda married (1) Henry Burgess (1829 – ?) (William Burgess & Mary (–)) in Sandwich Ma. on March 3, 1853.